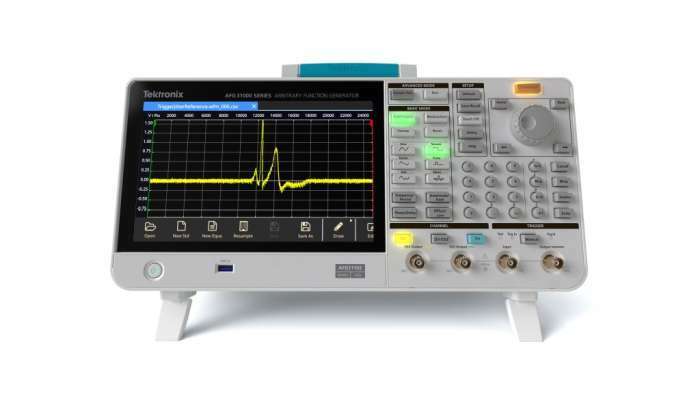 Tektronix, Inc., a leading worldwide provider of measurement solutions, announced that it has redefined the arbitrary/function generator (AFG) with the introduction of the AFG31000 series. A completely new design, the AFG31000 features many key firsts including the industry’s largest touchscreen and new user interface that will delight engineers and researchers who need to generate increasingly complex test cases for debugging, troubleshooting, characterizing and validating devices under test. A major point of emphasis for us is to put tools in the hands of our customers that make their lives easier so they, in turn, can bring innovative new products to market faster and more efficiently. With an interface defined last decade, AFGs have actually started to become an obstacle to productivity,” said Lori Kieklak, Vice President and General Manager, Keithley Product Line at Tektronix. “To turn that around, we looked at the AFG with fresh eyes and are already hearing from customers about how much easier and faster they can create the test stimulus they need using the AFG31000 series.